I picked this nail file up from the Dollar Tree sometime last year. 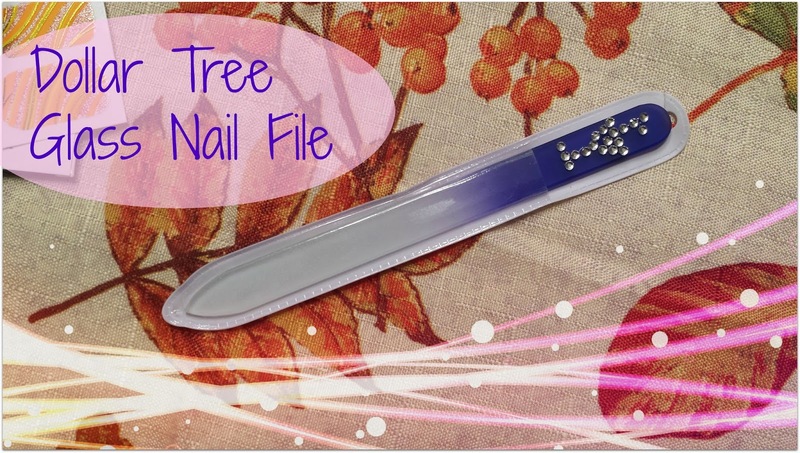 At first, I couldn't believe my eyes that they actually had a glass nail file. I had to buy it, plus, the packaging was cute :) I let it sit around for awhile before I remembered I had it. To cut to the chase, don't waste your money. This is definitely a MISS from the Dollar Tree. Why you ask? Well, the etching comes completely off after several uses. Yep, smooth off, literally. You're left with just a smooth glass surface (and I'm questioning the genuine-ness of the glass. To sum it up: I will NOT buy again and I would NOT recommend to a friend.